The Pacific Coast Highway is arguably one of California’s most scenic roads. Even as a native Californian, I never get sick of driving along the coast and soaking in the view. Covering this road in a day or two is doable, but it’s best to spend longer making your way down the coast to get the most of your trip, and trust me you will want to take your sweet time on this iconic drive. Here is a Pacific Coast Highway itinerary for 5 days, that will allow you time to exploring beach towns, eat plenty of seafood, and get a taste of two major California cities to bookend each end of the trip. Let’s get a bit technical for a moment, and discuss the name Pacific Coast Highway. This main stretch of coastal road is officially called California’s Highway 1 (starting a bit north of San Francisco in Mendocino County), where the Pacific Coast Highway, is the portion that starts from roughly Oxnard all the way to the end in Dana Point in Southern California. Though Pacific Coast Highway and Highway 1 are often used interchangeably and will be done so in this post. What is the best time for a Pacific Coast Highway road trip? Contrary to popular belief it’s not always sunny in California. The best time to go is in September or October, when the summer crowds have gone home, and the weather is still warm. If you do decide to plan a Pacific Coast Highway trip in the late spring/early summer there’s a good chance the coastline will be foggy, especially in Southern California, which the locals lovingly refer to as June Gloom. Winter and spring can also be an option, if the weather is sunny, but be forewarned that if it’s rainy there can be road closures due to dangers like mudslides. Which Pacific Coast Highway route is the best? Going from north to south is ideal, since you’ll be in the lane closest to the ocean, and therefore have the best view without having a lane of traffic in the way. Of course, going the opposite way is not bad as well, and it all depends on what works best for your personal travel plans. This article goes north to south, with San Francisco as your ideal starting point. Okay, now that we’ve gotten logistics out of the way let’s go over how to plan the perfect Pacific Coast Highway road trip itinerary. There’s no better place to start than the San Francisco, where you can rent a car from San Francisco International Airport (cheaper than in the city), and spend the day wandering around to your heart’s content. Make sure to pack a warm coat, since San Francisco can get chilly year round from the fog, especially during the summertime. San Francisco should definitely be on your Pacific Coast Highway itinerary for 5 days. The first stop on this road trip is the city of Monterey, which boast rich history, including the wharf area that was made famous by novelist John Steinbeck. There’s also the neighboring seaside city of Carmel, to wander around that’s known for its strong artistic community, dog-friendly shops, and natural beauty. This day is going to be a long one, and it’s recommended that you start as early as possible. It’s also one of the most scenic portions of the road trip, since you are passing through Big Sur in all its regal beauty, and ending in the beautiful seaside city of Santa Barbara. You definitely don’t want to rush your way through. walk around the Danish-inspired town of Solvang and get some aebelskivers (pancake puffs) at Solvang Restaurant’s to-go window. Welcome to Southern California! This is one of my favorite drives because it passes along the scenic coast of Malibu before entering Los Angeles. There is something about driving along the winding roads of the Pacific Coast Highway that always makes me daydream about driving it in a convertible. It’s one of those roads. This final stretch is all about gorgeous Southern California beaches in Los Angeles and Orange County. As someone who has lived in both Northern and Southern California, So Cal beaches beat NorCal beaches by a long shot. Get up early so you have plenty of time to stop at a few of the beaches along the way. 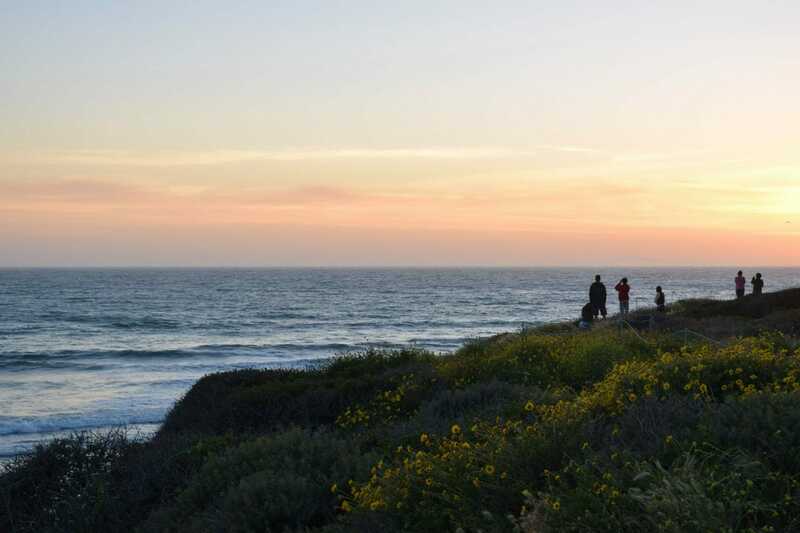 What would be on your Pacific Coast Highway itinerary for 5 days?